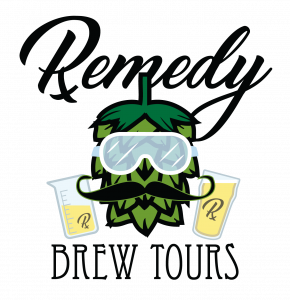 Learn about regional brewing history, Remedy’s early days, and the science of beer. Every tour is unique, different beers, different information, and depending if it’s a brew day, you might see Jason in action! Tours are approximately 45 minutes. Tour is limited to 12 people per tour. Tours are family-friendly and soda will be substituted for anyone under 21 years of age.